you and what doesn't and then you create your own hair rules. And of course, whatever your shape, we have a style perfect for you. Oval Shape: Lucky you! This is said to be the 'ideal' face shape. Well balanced and proportionate, with slim features and usually, prominent cheekbones. Widest at the cheekbones and slightly narrower at the forehead and jawline. The forehead and jaw from corner to corner will be more or less equal. What style suits you? Pretty much anything! 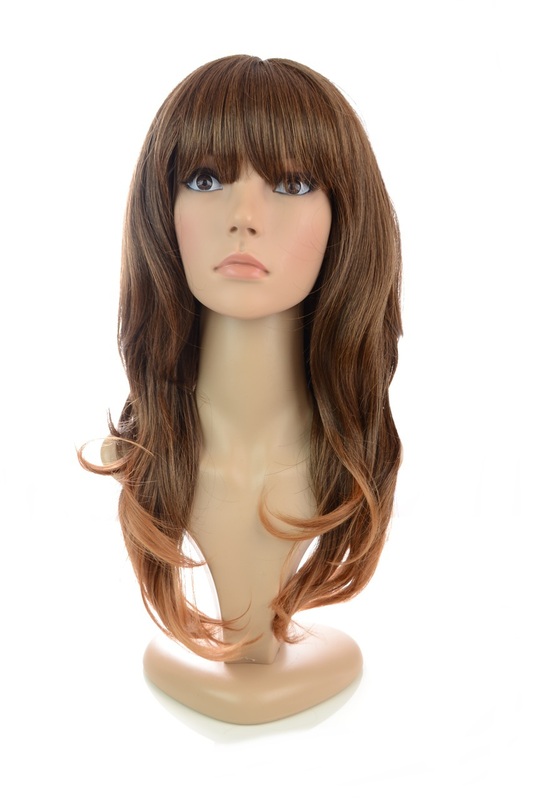 Long, short, bangs, no bangs, blunt fringes, straight or curly, your face shape will be complimented by most styles. Just be sure to be daring, because you can! HBM Suggest: Our Gorgeous Bardot. Full bodied, thick fringe, length and curls. Round Shape: Exactly as it sounds - there are no angular features. Full cheeked and widest at the cheek bones with a slight narrowing at the jawline and forehead. What style suits you? Add fullness and volume to the crown and keep it sleek at the sides. A short pixie cut can carry this off well. Up Dos will be great for you too, leave down some thin bangs and it'll slim the face down beautifully. Try to avoid chin length bobs with no volume as this will add to the roundness of the face. HBM Suggest: Our short and choppy Jamie. Perfect for slimming and framing the face. Square Shape: You have strong bone features. Your wonderfully wide jaw and angular chin will be dominant within your facial features. The width of the jawline, cheekbones and forehead will not differ too much from each other, giving the square shape to the face. What styles suits you? 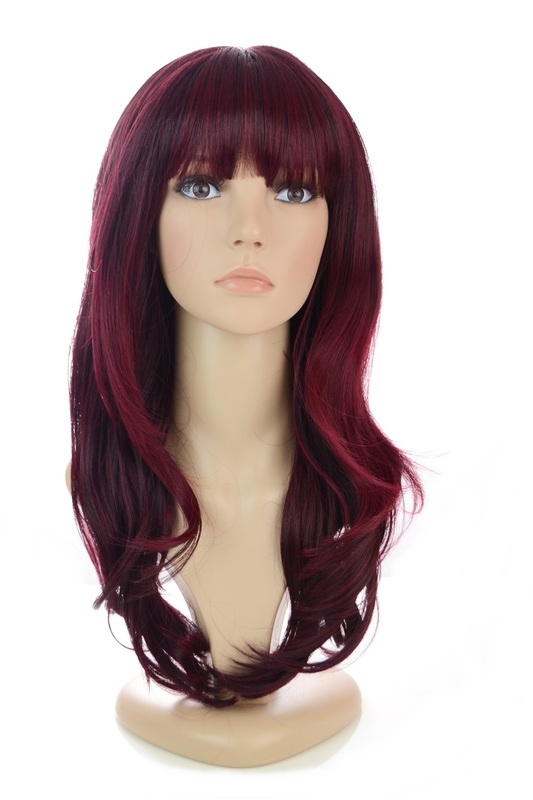 Soften those features with a wavy shoulder to medium length style. Incorporate some choppy layers and hit up the tussled look. An off middle parting will work great for you, again working towards softening, but politely complimenting your dominant features. HBM Suggest: Introducing our Jewel. Mid Length, choppy and textured perfection. Oblong Shape: Very much like the square shaped face with similar widths and angular features, except it's longer. Oblong faces can be quite straight. What style suits you? Think volume, curls, waves and texture. Avoid having volume on top and none on the side. Short to medium styles work well for your shape, but as mentioned, turn the volume up! Volume not for you? Bobs also work great for you, graduated is gorgeous, so keep one side shorter than your jawline. This will shorten the face and give it a little more roundness. HBM Suggest: Our short, graduated bob Victoria will be your hair heaven. Heart Shape: Your face shape can be seen as similar to the oval but is slightly wider at the forehead, narrowing at the cheekbones and finishing in a defined chin. Some of you may even have a hairline that meets in a point in the middle - Cute! What Styles Suit You? A very pretty face shape. Medium length styles suit your shape perfectly. A fringe is definitely an option for you. Something with texture and volume towards the ends of the medium/long length air will give the chin a slightly wider appearance. HBM Suggest: Shoulder length with a full fringe. Our Katy has the body you need. Diamond Shape: The most uncommon face shape. Narrowest at the jawline and the forehead, with your cheekbones being the widest point of your face. Starting to sound like an oval shape? Well no, your cheek bones are particularly high therefore creating the diamond shape. You have discreet features with a defined chin. What Styles Suit You? Whatever style you decide, show off those cheekbones. Blunt cuts with straight bangs are beautiful for this shape. HBM Suggest: Our stunningly sleek and straight Devon. Let the compliments roll!